Our company import, design, sale, supply, construction and maintenance of systems for reception of satellite television and radio programs. Direct work with major manufacturers and suppliers of satellite equipment allows us to offer end-user quality and lower prices for our products. 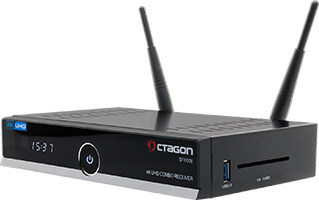 LINUX receivers on the European market - OCTAGON SF8008 4K UHD E2 DVB-S2X & DVB-C/T2.